Our HDMI Connector is used to connect a video device with an output to a Plasma, LCD TV, Surround Sound Processor or projector with an input. The cables transfer the audio and video signal digitally, this means the picture will look identical which ever HDMI connector you use, providing the cable is capable of transmitting the signal without too much loss. Chang yang offers the product with good quality to global customers. Durability, innovation, technical excellence and impeccable performance are the major features of our products, and also form a part of our company. 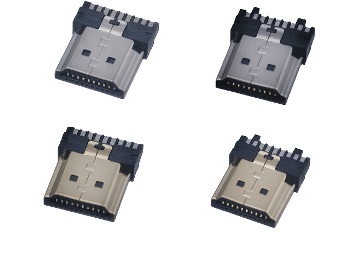 Chang Yang Electronics Company Ltd. is a good and professional HDMI connector manufacturer in the field of home theater accessories. We provide high quality products for our customers in whole world. We believe our over 20 year experiences of manufacturing products shall meet requests from our customers and provide best services to meet their demands. We, Chang Yang Electronics Company Ltd., have well-trained staffs who have professional know-how to control our quality and deal with all requests from customers. In the future, we believe Chang Yang will be your good partner.